Hire a canoe for an hour or more! We operate along the River Thames through Oxfordshire, Bucks & Berkshire. Choose from 1-Hour Hire, Half Day Hire, Full Day Hire or contact us to create your own Bespoke Package. 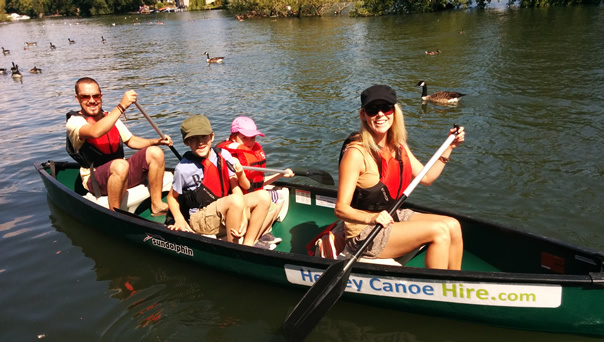 Our Canadian or open canoes are designed to carry up to 2 adults and 1 child, or up to 3 adults. If you’re travelling with expedition gear, then its probably best to plan for a canoe for 2 adults. You’ll need two people to paddle a boat. 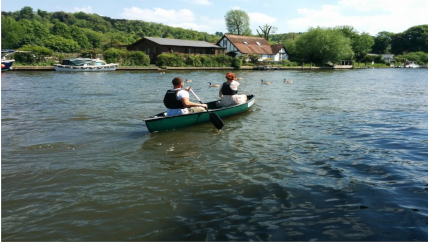 Launch from Henley and paddle through the picturesque town and down the famous Royal Regatta Course to Hambledon Lock. This is especially suitable for families with children and light paddlers who are looking for a relaxed adventure. Great places to picnic and paddle. This route is more suited to older children and adults as there are a few miles to be done in the day, great views of Reading! 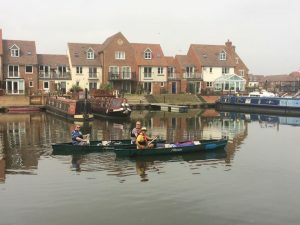 A wonderful weekend paddle, with an overnight in Marlow. 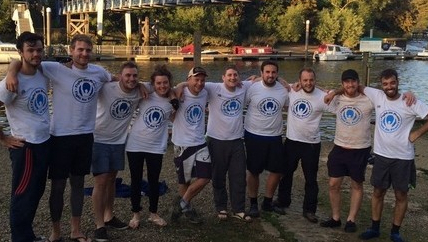 Whole of Thames Challenge – 6 Days. If you're looking for a proper challenge that's a bit different, then look no further. 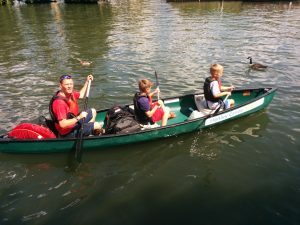 "I would just like to thank you for the excellent canoeing expedition you organised for my family & friends on Sunday, the route you marked out for us was lovely, the children saw Kingfishers for the first time and you managed to please all 13 of us (which is no easy feat). You expertly estimated how far we could manage as complete novices and I thank you for making it a down river experience. We really appreciated your lesson's on how to paddle and steer the canoes (even though some of us were not very good at it). It was the best Mothers Day any of us has ever had! Thank you." 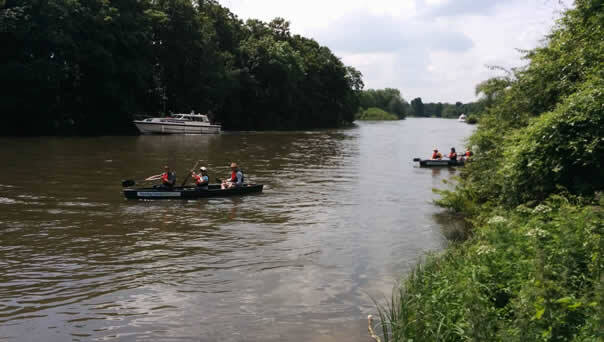 "Had a fabulous day out on the river - everything ran smoothly and Guy was great to work with! 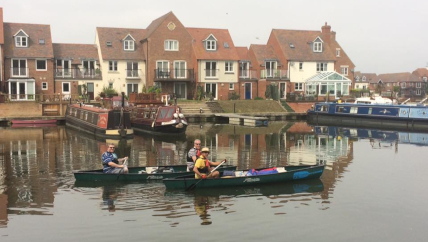 A gorgeous paddle from Henley to Marlow." "Hi Guy, Just wanted to thank you again for helping us have a brilliant day out. Everybody has been exchanging messages and photos of the day. We all wish you the very best of luck with your new venture. It really deserves to be a great success and we will be sure to recommend you." I had an hour's coaching session last week and the coach and other staff we're all very helpful and friendly. 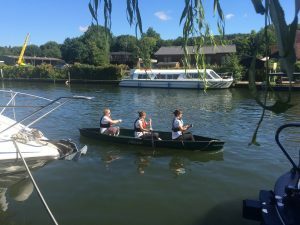 I'm a novice looking to get into the sport and i would recommend Henley canoe hire for people like myself or people anyone interested in canoeing or kayaking generally. 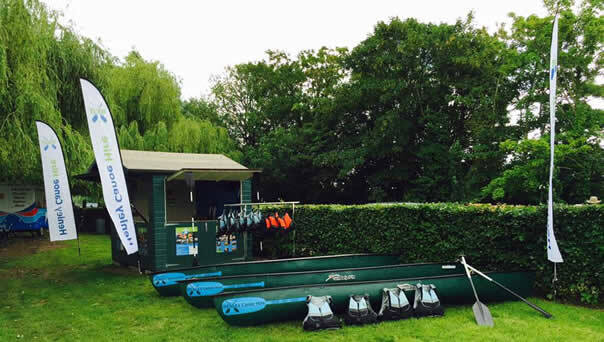 Henley Canoe Hire launch and pick-up our canoes from many sites along the River Thames. Canoes are rented for either just one day, a weekend or for any number of days as needed by you. No previous paddling experience required. You’ll get some basic training before you set off. We selected our Canoes carefully to be safe, light to manoevre and comfortable. Ideal for the Thames.